We all want healthy plants, right? The pH is vital to your cannabis plants nutrient uptake, and without proper balance, it can be detrimental to your yield. What is the pH and Why is it Important? pH is the measurement that predicts chemical activity within soil. It also indicates the availability of the nutrients in the soil. pH measures in a range of 0-14, going from alkaline to acidic, with seven being referred to as neutral. If you want your plant to be at its best you need to test the pH frequently. Failure to do so can cause a variety of problems. And if you’re overusing them to make up for the pH levels not being right you might as well throw money down the drain. It’s not just the pH of your growing medium that’s important, though. You need to pay attention to the pH of the medium, the water you’re watering with and the runoff water. All of these work together to tell you if you’re providing the optimal environment for your cannabis. 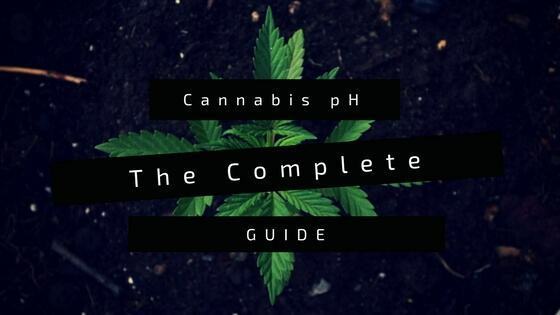 What’s the Best pH for Cannabis? The required pH for cannabis changes with the medium you’re growing in, but it doesn’t just stop there. Growing in soil requires a slightly acidic soil around 6.0 – 6.8 pH. Ideally, you want to keep it on the high end of the spectrum and has close to 6.8 as possible. But, this varies from strain to strain. So pay attention to your plants, and try different pHs. If buying seeds from a professional breeder or seedbank, make sure to go with their recommended pH. Also, soil is a LOT more forgiving when it comes to pH. Which it’s why it's recommended for most beginners to start with. Growing hydroponically requires a more acidic medium ranging from 5.5 – 6.5 pH. Without the soil to buffer pH errors or feeding errors, cannabis grown hydroponically is a lot more sensitive. Depending on how you grow, organically or not, there are various ways to adjust your pH. If you go the organic route, keep in mind that most methods are slow acting. But when they do kick in, they REALLY kick in. And apple cider vinegar is very effective, and you’ll see an almost immediate drop in your pH. But, it should only used as a last resort. Apple cider vinegar has a nasty habit of eating at the micro-nutrients and is only a short lived fix. Make sure to couple it with a slow and sustainable method such as lime. And if you’re growing hydroponically, you can pick up complete up and down pH kits like this one from General Hydroponics. Just keep in mind, with a lot of this stuff, less is more. Just like you can prevent your plants from not being able to absorb nutrients with incorrect pH, over-correcting can wreck your plants. There are several types of pH testing kits available. Test strips, chemical solutions, and probes. Some are slightly more effective than others; some are easier to use and some more accurate than others. 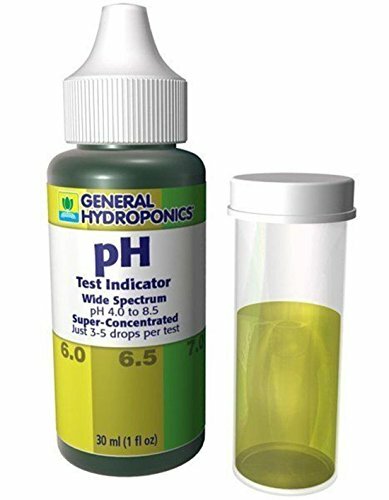 Test strips - by far the most basic way to test your pH. While it is accurate, it's not good for cannabis growers. You need something that will give you specifics. Testing strips, however, only give you a general idea of the pH. Chemical solutions - Also referred to as dropper kits. To use you place some of your soil in a vial, add distilled water and then apply the amount of chemical solution as per the instructions. This is going to give you a color that you can compare to a chart. This leaves the results left to interpretation though they are highly accurate. Electronic probes - Great for testing soil or water and provide you with the most accurate and precise pH you can achieve at home. Lab testing - If you want the most accurate reading, you can send off samples of your soil to a laboratory. 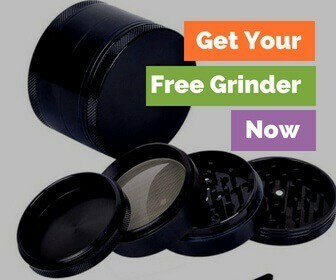 They will be not only able to tell your pH but also complete nutrient levels. For a lot of small part-time growers, this isn’t really feasible, though. Learning how to test the pH of your marijuana plants yourself, however, is. Remember, pH is measured on a logarithmic scale. This means for each full point you move up the scale, it’s actually 10x the last number. So you need a pH meter that measures to the decimal point. Now that you know what pH is and how to manage it, you need to learn how to test it. There are a whole lot of ways to test your pH. It depends on the type of tester you have, the growing medium used and what you are testing. If you’re using a digital tester, be sure to take three readings add them up and find the average. pH varies from spot to spot, so this gives you a better representation. For starters, let’s talk about the most common growing method: growing in soil. If you’re growing in soil, you are going to want to test the soil around your roots, and ideally, in a few different spots. If you are using a soil meter, water the plants with distilled water and place the probe in the soil. After it settles, you’ll have your pH reading. Another way to test your soil is with a digital meter using samples of your soil. Take 20 mL of your soil and place it in the bottom of a plastic cup. Next, add about 40 mL of pure/distilled water. Swirl it around and let it soak for a good half hour and then test. If you have a dropper kit, take a spoon full of your soil, place the soil in the provided vial, add distilled water and then apply the amount of chemical solution as per the instructions. Wait however long the testing kit specifies and compare the color of the liquid to the color chart provided. Testing the water pH is usually best done with a digital tester. Simply place the tester in the water you’re going to use to get the reading. After you water your cannabis with pH water, you want to test the runoff. A lot of growers skip this step, but it’s just a few extra minutes of your time to get a better understanding of what’s going on in your plant's soil. The pH should come out about ¾ to a full point below the pH of the water you put in. The idea behind this is that as the water passes through the medium, the nutrients make the pH drop. You should be watering with about 6.8 water, so your run off should be anywhere from 5.8-6.1 pH. (watering going in + run off) ÷ 2 = pH of the root area. How Accurate are Soil pH Meters? The only way to know your true pH is to send it off to a lab. Plus, we need answers now. Most soil pH testers aren’t that great, and in general, we don’t recommend them. Also, they usually don’t last long. Another downside to soil testers is you need to pierce the soil to get a reading. This puts your roots in danger. The reason why we recommend digital pH testers over testing strips and even drop kits is we find them to be more accurate. When trying to determine the pH based on a color chart, a lot of it is left to speculation. Even the most expensive digital tester isn’t guaranteed to be the most accurate pH meter. But it’s better than just guessing. If you’re growing hydroponically, you need a digital meter. The Apera Instruments AI209 will do everything a hydro cannabis grower needs and some. By far the most accurate meter ranging with +/- .1 pH accuracy. But it’s not just the accuracy that makes this meter great. It has built-in smart functions such as auto recognition and stable values. These features dramatically improve the tests consistency. Its auto recognition works to tell you when it needs to be calibrated, and thanks to the two solutions they provide—a 4.0 and 7.0 solution—obtaining a perfect calibration is easy. 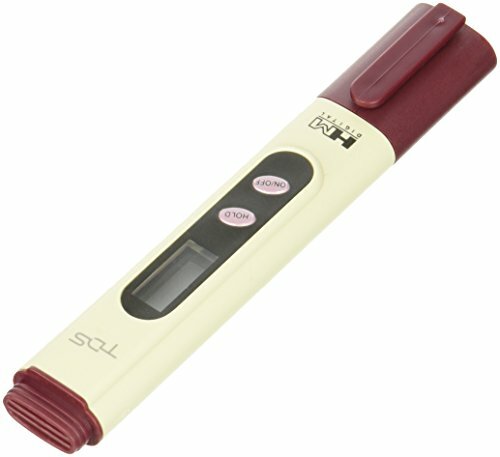 It also has up to 2000 hours battery life, which is twice the length of the HM Digital TDS tester. Another smart feature is its auto calibration. No twisting screws, instead, it’s all done with the press of a button. Relatively quick reading, abut 10-45 seconds, but sometimes the stable value takes awhile to stabilize. It also has a steep learning curve compared to other pH meters. It’s the price paid for all of the fancy features. So, make sure to thoroughly ready the manual or even watch some of the youtube videos on how to use this model to get a good grasp of it. Once you do learn how to operate this pH pen, it’s second to none. Unless you plan on growing professionally, there’s no need for a $700 lab grade pH meter. You can get the results you need to grow top grade marijuana with this pH meter. 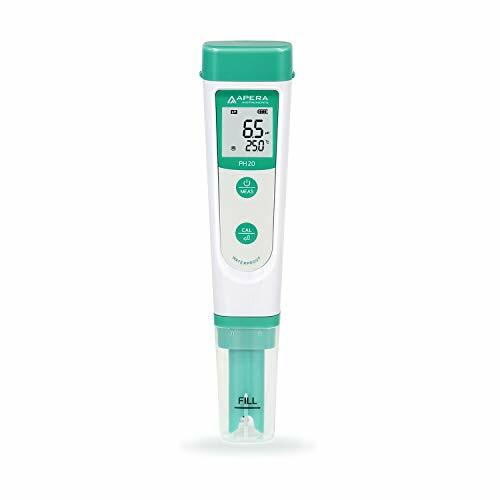 This TDS tester is ideal for hydroponic growing, but it’s perfect for testing soil run off and testing your soil by soaking it in distilled water. This model saves measurements, so you can always know what your reading was yesterday. This is particularly useful when you have to adjust the pH. These meters are calibrated at the factory using a 342 ppm NaCI solution. But, they can also be calibrated at home easily with a mini-screw driver. Since it’s an electric meter, you need to pay attention to the battery life. Even the slightest voltage difference can skew your numbers, so make sure to keep fresh batteries in it. It helps that there is an auto-off function that turns the meter off after 10 minutes of non-use. They claim a +/- 2% variance of accuracy, and, while it may vary a bit more than that, it’s not too far off. This TDS meter also tests the temperature of your water, which is an added plus. Especially if using water from an outside source where it can quickly get too hot or too cold. Make sure to check the calibration often, and to keep it wet or wet it a few minutes before each use. Another tip with this, or any electric meter, turn it off before each use and turn it on in the water. This extra step will get you a more accurate reading. One of the most well-known names in hydroponic growing, General Hydroponics, manufactures the best water testing kit. Like any kit of this type, it has some serious limitations. While it is extremely accurate, it only gives you ranges in .5 increments to work with. This means that even if the test shows 6.5, it could, in fact, be 6.3-6.7 which is a huge swing. It is nice to have around, though. You don’t have to rely on batteries, and it tests very quickly—about 10 seconds. If you want an inexpensive, quick tester, this will work for your hydro gardenor to test the water before you water your cannabis. I wouldn’t, however, buy this kit as your only pH tester. If you want to test the pH of your soil, there are other ways to do it besides a soil pH meter. 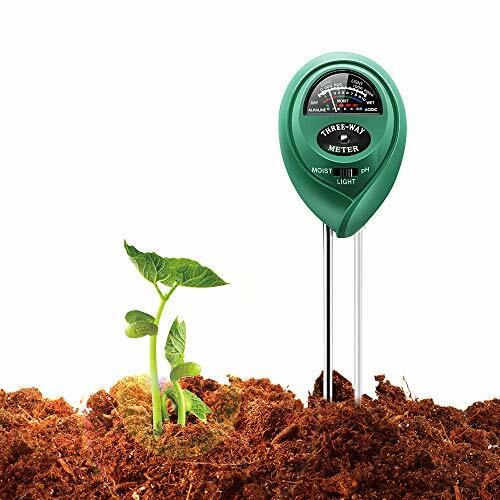 But, if you’re growing in the ground, and can’t test your run off, then the only good way to test the pH around your roots is with a soil meter. A lot of these are junk. This one has all of the same functions that most offer: tests pH, moisturemeter and light meter. It usually goes from 0-100 and nothings in between. The pH meter on this model, however, is the best we could find. It’s easy to use, just stick the probes 2-4 inches into the soil, adjust the position of the probe until the pointer on the dial slightly swings, and wait 10 minutes. Waiting the 10 minutes is key. Unlike digital meters that get a reading in about 45 seconds, these take awhile. You also have to remember the probes are easily damaged and can be ruined by pushing them intohard soil or even in just pure water—this ruins the electrolytic response index. If you do follow these instructions, along with wiping off the probes after each use, you can get these to last quite a long time. The accuracy isn't going to be as precise as a digital reader, but for growing cannabis, it will do just fine. A big downside to this model, though, is the size of the display. Because they cram so many features into one tiny display, it makes it difficult to read the pH.